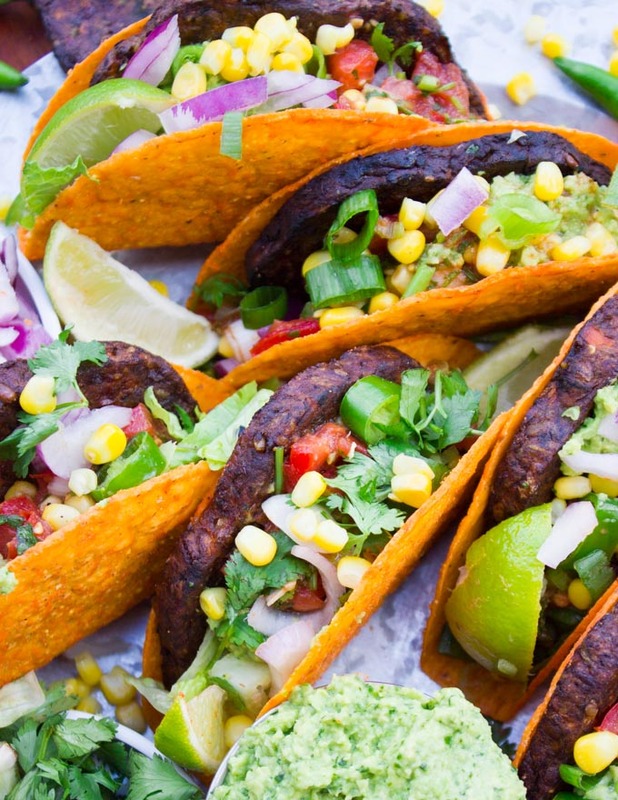 This is not your average Tacos Party, it’s a Burger Tacos Party! 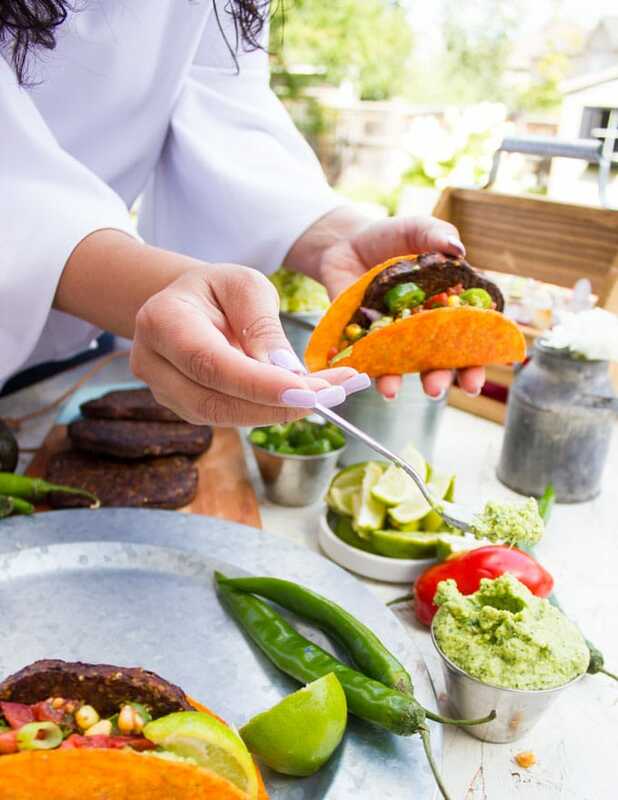 Veggie burgers grilled to perfection in a crunchy taco shell with all your favorite tacos fixings and more. Make some room for this one of a kind, almost too good to be true tacos party! Well Hello late summer vibes and BBQ vibes which I’m probably hanging on to the most right now! It seems like so many pumpkins are flooding the internet world right now, but can I just say it’s not even Fall yet?! 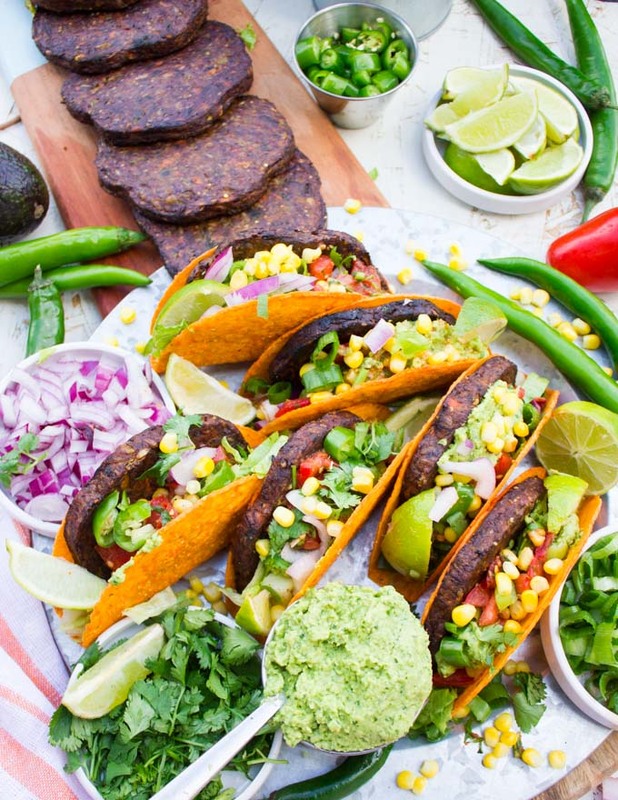 So rather than a warm cozy Meatless Monday here, we’re having a bright, vibrant, delicious veggie burger on the grill and a tacos party! Game Night plans anyone? First of all, a good burger tacos party starts with a really good burger! 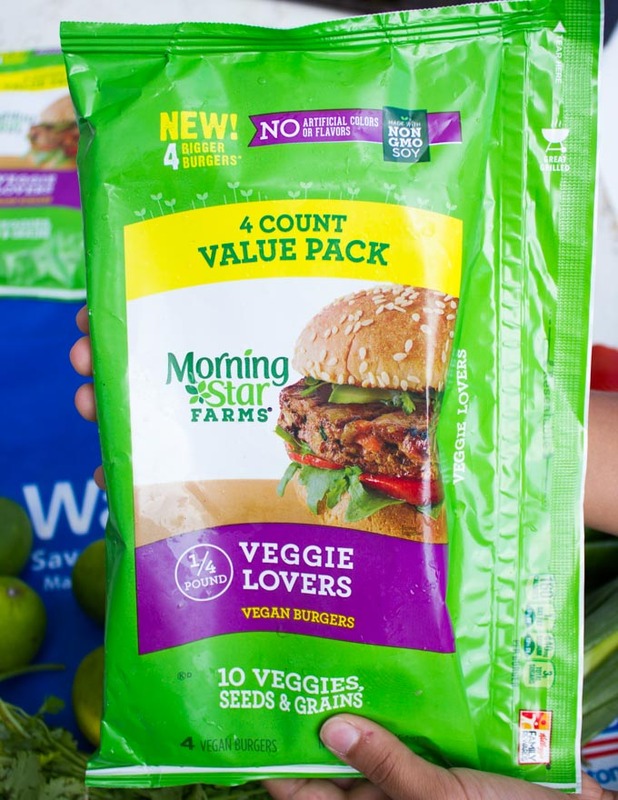 I’ve picked up the NEW MorningStar Farms® Veggie Lovers Quarter Pound Burgers at my local Walmart, because I genuinely love this brand. I’ve made a hearty crowd pleasing Vegetarian Chili Recipe Party and Bar and many more delicious things with their products! 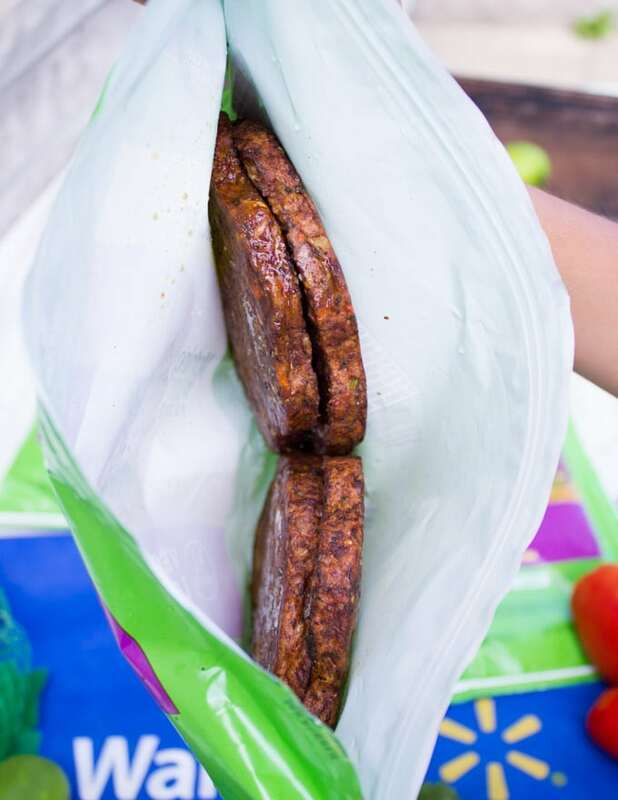 Each quarter pound burger is perfectly seasoned and packs each bite with plant based protein and tasty veggies! Packing a hefty 10 grams of plant protein, 12 different veggies and a plenty of deliciousness. It’s probably been one of my favorite meatless Monday solutions and now, a perfect kick off to football season! Grilling the burgers is totally optional, but the BBQ adds even more taste and character to these delicious burgers. It also adds that extra burst of freshness to your tacos party which makes it harder for you to count how many of these goodies you’re eating! 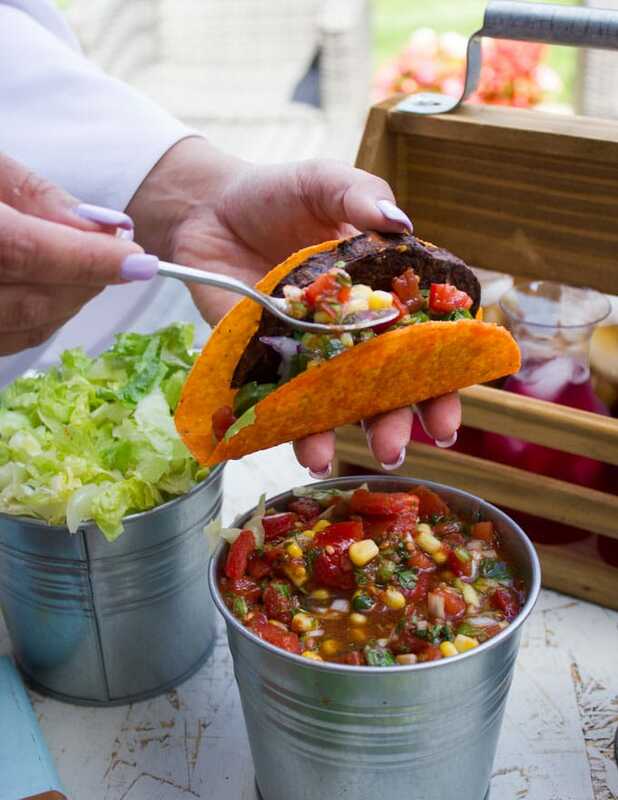 Cutting the burger in half makes their size ideal and fitting into each taco shell, even along with the toppings and fixings. 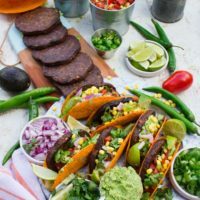 Having a few assembled tacos, and extra grilled burgers, fixings and toppings on the side seems like a more inviting set up for your friends to make their own and play around with flavors. Because above all, it IS a tacos party and everyone should have their fun! Let’s start with the good stuff. 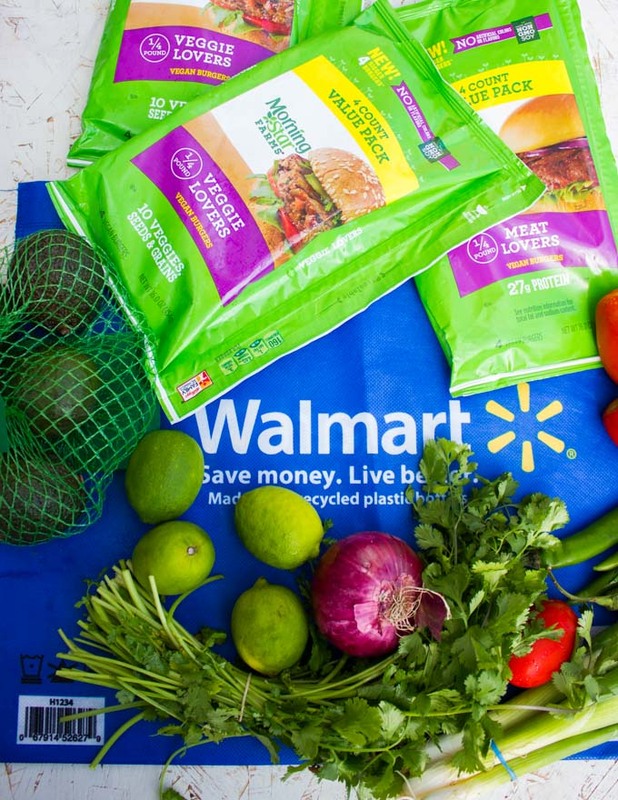 Pick up all your tacos party ingredients at Walmart. 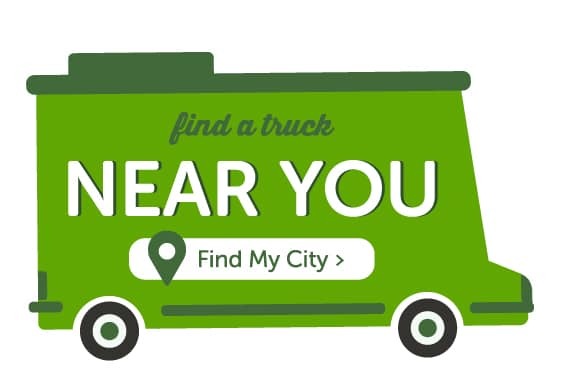 You’ll find the MorningStar Farms Veggie Lovers or Beef lovers burgers in the freezer aisle. I’ve shared this to die for Cheese Burger Salad on Instagram using the Beef Lovers burgers. 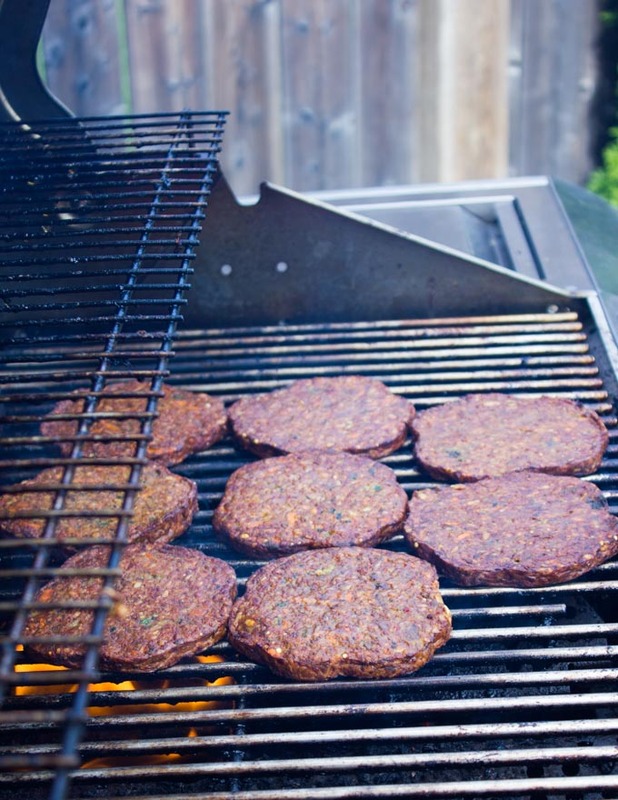 Place your juicy delicious vegan burgers on a low heat grill for about 5 minutes per side. Keep the lid closed on the BBQ. This helps the burgers cook evenly without burning. 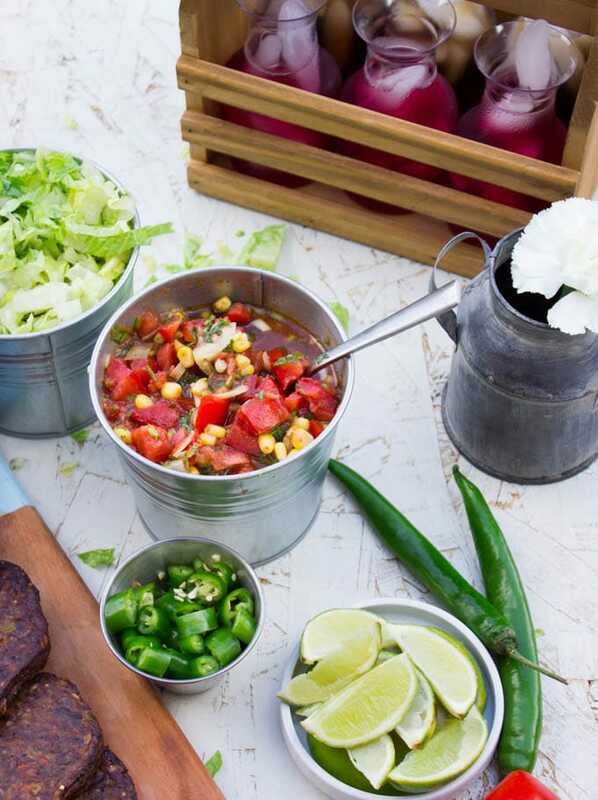 In the meantime, you’ll prepare all the fixings and toppings for the tacos party. And here’s where you can be as creative as you’d like! Today I’ve made a chunky sweet tomatoes and corn salsa, but another option would be to try the pineapple salsa in the Vegetarian Chili Recipe Party and Bar post. Both SO GOOD! Then, it’s probably not a tacos party without the guacamole, so I’ve made my favorite classic no fuss guacamole recipe. Likewise, I chopped some lettuce, scallions, green chilies (or jalapenos), cilantro, red onions and plenty of lime slices. 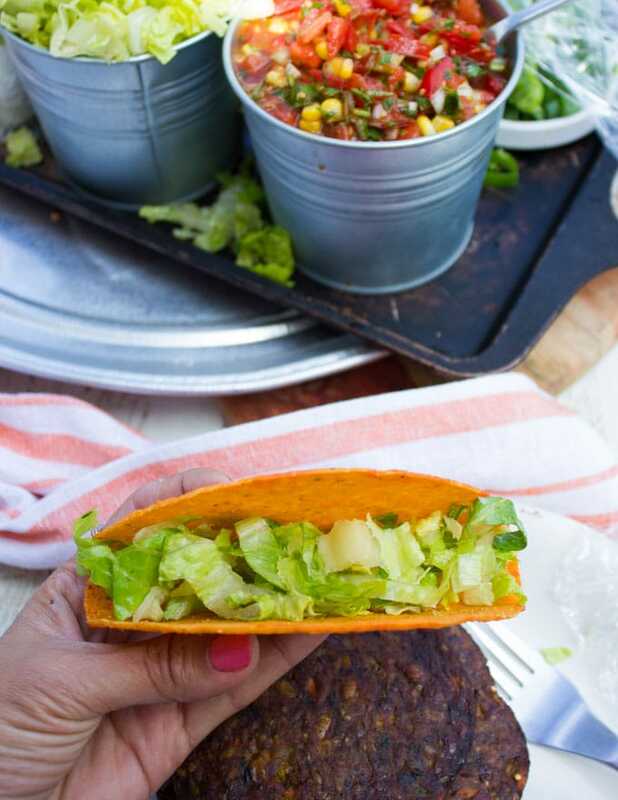 Once your burgers are ready, slice each in half and start assembling your burger tacos. Feel free to play around with the order of toppings! However, keep in mind the lettuce is best to start with so your tacos don’t get soggy. Here’s how I’ve done it. Taco shell, lettuce, burger, guacamole, salsa, scallions, cilantro, jalapenos and finally a squirt of lime. This is a tacos party like no other! You can prepare the salsa, guacamole and all your toppings two days in advance. Grilling the burgers on low heat keeps them juicy while still perfectly charred. To make the perfect burger tacos party, cut each burger in half. It feels like almost it was meant to be! The perfect fits in the taco shells perfectly. When layering your tacos, always start with something like lettuce so your tacos don’t get soggy. 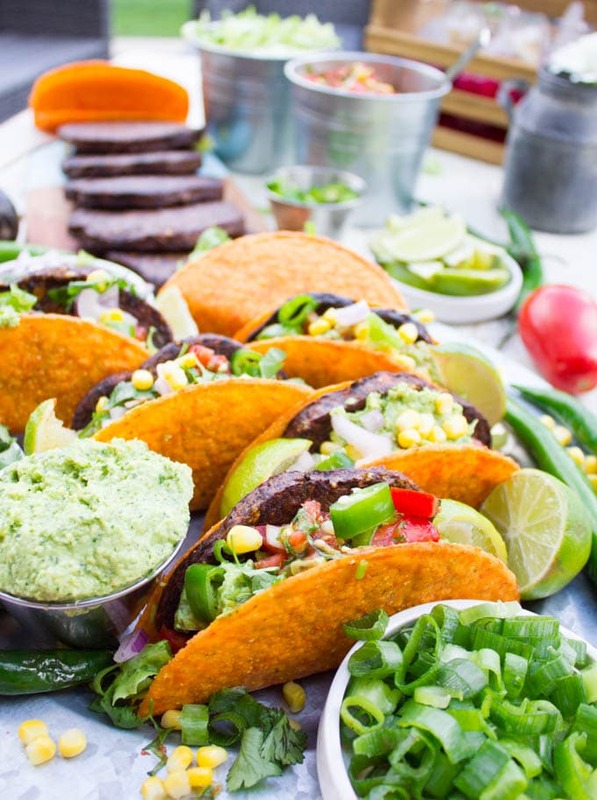 Assemble just a few burger tacos, but keep the set up inviting for everyone to get creative and try their own. It feels more like a tacos party when everyone can dig in and get messy making their own tacos! 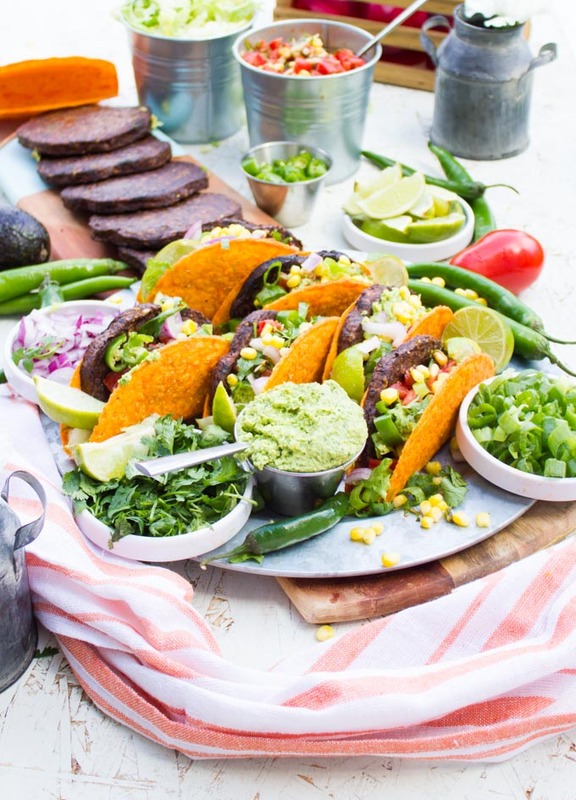 Kick off your Tailgating and Game nights with this bright burger tacos party and enjoy every bite of freshness and flavor! Make this one, it’s quick, easy and SO GOOD! And pick up these new MorningStar Farms Burgers, I promise, you’ll devour them! Check here for more recipes and inspiration using the Morningstar farms and follow them on Facebook! Finally, I’ve got a delicious offer for you and I know once you try the burgers you’ll be hooked! 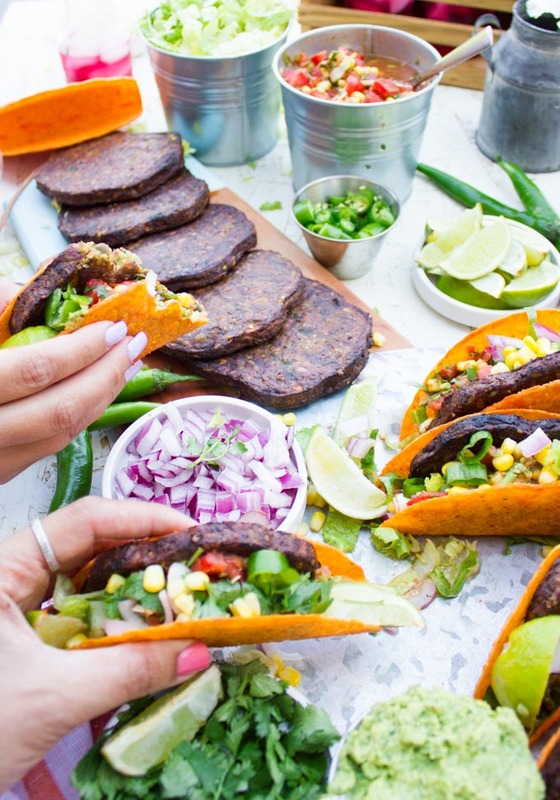 This is not your average Tacos Party, it's a Burger Tacos Party! 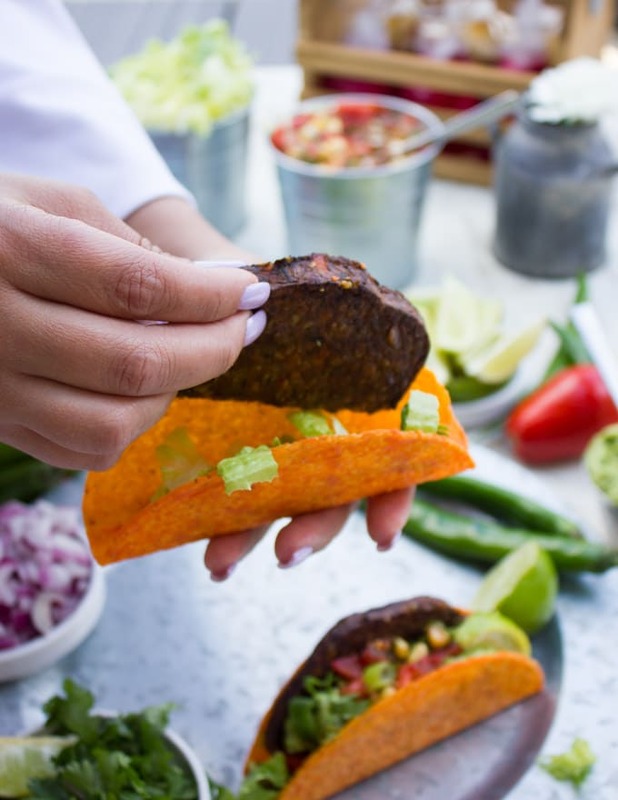 Veggie burgers grilled to perfection in a crunchy taco shell with all your favorite tacos fixings and more. Make some room for this one of a kind, almost too good to be true tacos party! Preheat your grill to medium low. Add the burgers on the BBQ and lower the heat to low, then cover up the grill. Grill the burgers for 5-8 minutes per side and then turn off the BBQ. While the burgers are grilling, make the guacamole: mash all ingredients together in a bowl and set aside. 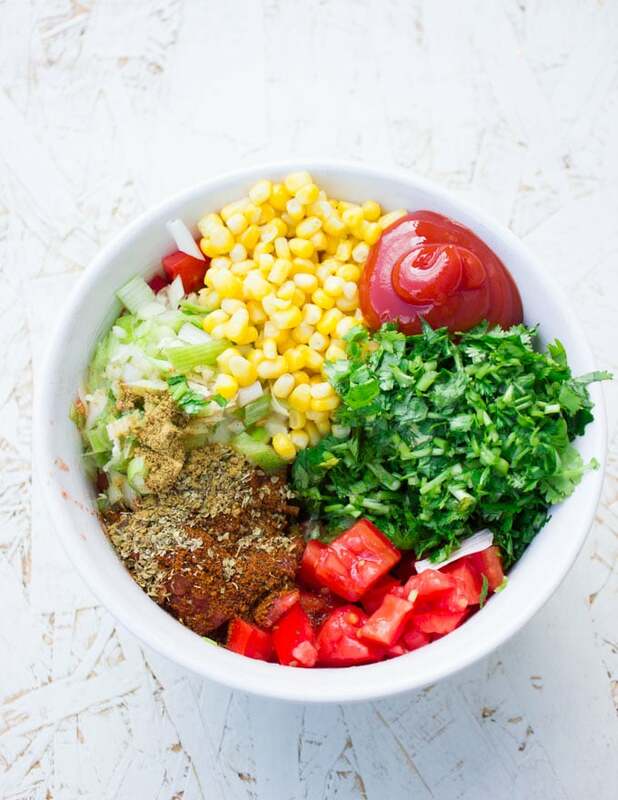 Make the salsa: Mix all ingredients in a bowl and taste for seasoning. Set aside. Prepare all your toppings for assembly of the tacos party. When the burgers are ready, take each burger and slice it in half. Start assembling some of the tacos. Take a taco shell, add some lettuce and place in the half burger to fit in the shell perfectly. Top the burger with a teaspoon of guacamole, a tablespoon of salsa, some diced onions, cilantro, jalapeño, scallions and a squirt of lime. Arrange the remaining toppings, shells and grilled burgers so everyone can assemble their own with different variations every time. 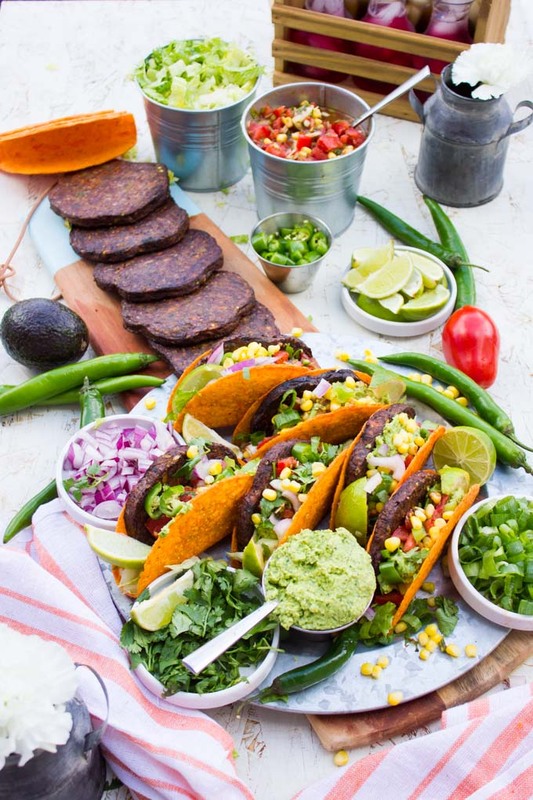 what a fun post I love taco and what a great ideas for a burger. I think this would as much fun to make as it is to eat! What a fun way to eat tacos! We are always looking for inventive meatless Monday options and this is perfect! Oh Lucky you Renz!! I miss Florida! Sure looks like a lot of fun! I like the idea of being able to build your own taco or burger. This way you get to make it exactly like you want. And so you prepare a lot of the party ahead of time so the host and hostess can enjoy the part too. It’s a win-win. What a yummy looking dinner!! I love the idea of doing it as a “taco bar” too, how fun is that!? We have been trying to do at least 1 meat free meal a week so this is getting added to the rotation. 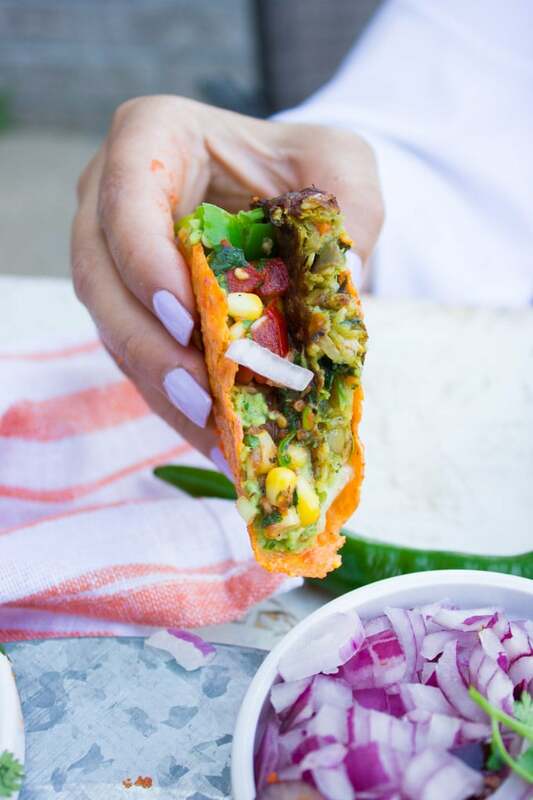 Veggie burger tacos, how fun! We love tacos in our family and I’m always on the hunt for new taco inspired dishes, this one looks delicious. So adorable! What a great idea looks so yummy, craving for this right now! OMG! This is such a great idea for a party! Everyone will love it! OMG!! I LOVE everything about this!! It looks and sounds fantastic!! I will be trying this recipe very soon!! I know for sure this would be a huge hit in my house! This is seriously making me hungry! Great idea for lunch. yessss! This is the perfect recipe for me. Looks VERY tasty! 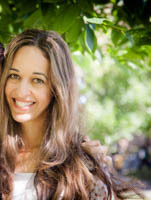 Hope you make it Chrissie! Ahhhh I love this idea! These look so delicious!